We all want stronger marriages. These marriage cards just may help keep your focus where it needs to be. A strong marriage requires lots of prayers. 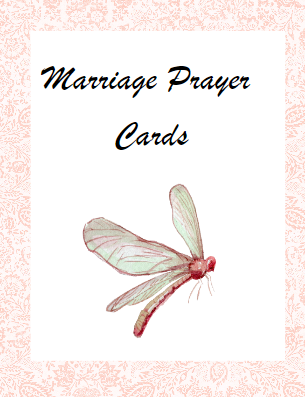 These marriage cards give you verses to refer to as you are praying. Great for a prayer room, to hang around the house and even laminate and carry around with you.